Get a Foolish perspective on the day's most important business and stock market news. 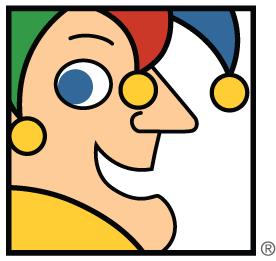 MarketFoolery is a Monday-Thursday podcast featuring analysis of top business stories by a revolving group of Motley Fool analysts. It leads up to the Motley Fool Money Radio Show on Friday, which is syndicated across the country. Anchored by Chris Hill, MarketFoolery offers 20 minutes of entertaining and lighthearted discussions about what's going on in the stock market today. Whether it's digesting Chipotle's most recent earnings report or speculating about Amazon.com's plan to ship almost anything by remote-operated drones, no subject is off-limits. Analysts who appear on the show provide a Foolish perspective, focusing on the trends that affect a business over the next five or 10 years, not the next few minutes. And, of course, it's all backed with a strong focus on the fundamentals -- not trend lines or patterns on a candlestick chart. In many cases, the Fools may have a vested interest in the stocks they talk about, providing listeners with an informed and invested opinion on what's really going on. Foolish analysts from market-beating services such as Motley Fool Stock Advisor and Motley Fool Rule Breakers make frequent guest appearances to discuss stocks with which they are most familiar. Will Volkswagen ever recover from its emission scandal? Can Twitter turn a profit? Why is a fashion company buying a pizza chain? What should you make of the fantasy-sports phenomenon? Has Silicon Valley gone mad with eye-popping prices for hot start-ups? Download episodes individually or subscribe to get every new episode as it comes out through iTunes, TuneIn, Sticher, iHeartRadio, and Player.fm. New episodes are uploaded promptly at 4:30 p.m. ET, shortly after the market close.